Michael has over 20 years of experience in the Canadian travel insurance industry. He is currently the President at Toronto based insurance advisory firm CSI Brokers Inc.,‎ was a founding member of the Travel Health Insurance Association of Canada and is currently on the Board of ‎Advocis Toronto. Filing a travel medical insurance claim can be a stressful and anxiety provoking process, even for the most experienced snowbirds - but it doesn’t have to be. Canadian snowbirds can usually make the claims process fast and easy and alleviate a lot of unnecessary stress by understanding the claims process, your responsibilities when seeking medical attention and what you need to do in the event of a claim. When does the claim process begin? While the claim process technically begins when you contact your insurance provider about a medical episode, in my view, the claim process actually begins the moment you purchase your travel insurance policy. To prepare yourself if you ever need to make a claim, you should always review your policy and familiarize yourself with the terms, exclusions and limitations. Understand what the insurance provider expects of you in the event of a claim. Pay particular attention to clauses such as the “pre-existing condition period” and the “stability period”. Don’t forget to review some of the “lesser known” exclusions too, such as - does your policy cover the recreational activities you will be participating in while away? For example, some policies consider hiking a form of mountaineering, which may not be covered, so purchasing the incorrect policy can unexpectedly result in any claim you make related to that activity being denied. Be sure to take your insurance policy booklet with you and highlight the insurance provider’s toll-free telephone number (for calls within North America) and their call-collect telephone number (for calls outside North America). If you will be travelling alone, make sure you leave a copy of your policy and your policy number with a friend or family member. What if I have Group Coverage through my employer or a credit card? If you rely on "group" coverage like the kind found through a credit card or your retiree health plan, read the booklet carefully. There may be age and trip duration limitations which you need to be aware of. The plan benefits booklets may have been sent you many years ago, so make sure that you are reviewing an up-to-date document. Call your former employer, your union or professional association, or the financial institution which issued your card for an up-to-date document. When should you contact your travel insurance company? In any life-threatening situation such as a severe accident or injury, heart attack or stroke, your first decision should be to call 911 to notify emergency responders and seek immediate medical treatment. Most travel medical insurance policies require that you contact your insurance provider within 48-hours so they can coordinate your care, arrange billing with the medical facility and, if required, begin planning your repatriation back to your province of residence by commercial airliner or air ambulance. Hospital will generally want your insurance coverage details as soon as you’re admitted to give them comfort that they will be paid for the treatment you receive. For non-life threatening situations, my advice is to always make “best efforts” to contact your insurance provider prior to seeking any medical assistance. It will make your life easier and avoid potential issues with your insurance provider down the road. If you decide to seek medical treatment on your own, make sure you keep all of your receipts and get a copy of your treatment records and the medical notes from your treating physician. These documents can be difficult to obtain once you are back home, and failure to submit them with your claim can cause delays in processing and may even lead to a rejected claim. It’s a good idea to contact your provider while you are still at your destination. They can review the details of your claim and let you know what documents and information they will need to review and process your claim. Does making a claim affect your coverage? If you experience a medical episode while travelling which has been deemed eligible under the terms and conditions of your travel insurance policy, you should be covered for that episode but you may be ineligible for future coverage if there is a recurrence of that same or related condition during the balance of your trip. Depending on the severity of the medical condition, your insurance provider may recommend that you return to your province of residence before the completion of your trip so that you can be seen and treated by your family physician. If you choose to ignore this advice, any recurrence of that same condition may be denied. In most cases, if you make a claim for a medical episode and suffer another medical that is covered under your policy and completely unrelated at a later date, both episodes should be covered under your policy, so long as your insurance provider did not recommend that you return home after the first episode. For example: If you break your finger and suffer a heart attack a month later, you should be covered for both episodes, provided your insurer didn’t recommend you return home after breaking your finger. My advice is to review your insurance policy and understand how making a claim might impact you in the event of a future medical claim, and if you do experience a medical episode, be sure to ask your insurance provider how your future coverage may be affected for the balance of your trip. 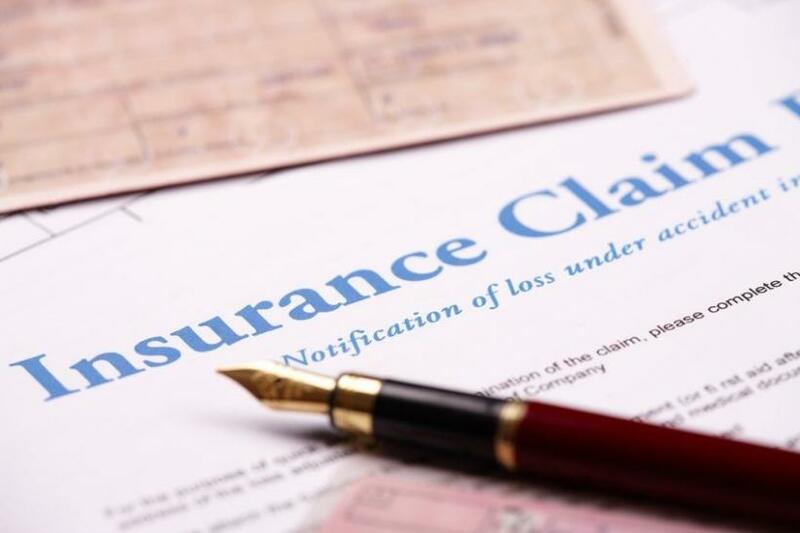 The claim process begins as soon as you contact your insurance provider, ideally before seeking medical attention or being admitted to a hospital. If you have contacted them in advance, they will direct you to the appropriate medical facility and arrange direct billing with the facility so that you do not have to pay out of pocket, provided your claim is eligible. Once you arrive at the hospital, your insurance provider will require that you complete a Medical Release Form (MRF) so they can obtain medical notes from the treating physician and your family physician back home. These notes will be used by the insurance provider to review your medical history and determine your eligibility for benefits. By calling the insurance provider in advance, they can work with your treating physician to ensure that only medically necessary procedures are performed. If it is deemed that you should return to your province of residence to continue treatment, your insurance provider will also arrange your return flight either commercially or via an air ambulance. If you drove to your destination but need to return by commercial airliner or air ambulance, your policy may have a “return of vehicle benefit” which will cover some or all of the costs to bring your car home. In addition to the MRF, your insurance provider may require that you complete and return a claim form. This form can be faxed to your hospital, emailed to you or sent to your address at your destination or your home address. The form is quite straight forward, but be aware that it will require you to provide your Government Health Insurance Plan number (i.e. OHIP number). From other insurance benefits that you may possess. When you possess two or more travel insurance plans, each plan will contribute an equal share of your eligible expenses, subject to deductibles or limitations. The one exception to this rule applies to group retiree health plans. When a group retiree health plan has a lifetime limit of $50,000 or less, this coverage will be secondary to other coverage without a lifetime limit. This prevents an erosion of your $50,000 maximum. However, where your lifetime limit exceeds $50,000, the coordination of benefits will only be in excess of the $50,000 lifetime limit. Make sure that you understand your retiree plan limits and how your insurance provider handles these situations. If you have made any out-of-pocket medical expenses (for routine visits to a doctor for common ailments such as flu, infections, etc. or for prescription medications for example), keep all of your receipts. Make note of the currency exchange rates in effect on the dates those purchases were made (check your credit card statement which converts the charge to Canadian Dollars) so that you are reimbursed the exact amount that you paid in Canadian currency. Always be sure to keep a copy of whatever you have submitted to the Insurance provider in case it is lost in the mail. If your claim exceeds a certain threshold, say $5,000, it may be a good idea to send your documentation to the Insurance provider by courier so that there is a record of the delivery. During some months, claims handling activity will be higher than normal but it has been my experience that once your Insurance provider has ALL the required documents from you, the hospital and your family doctor, the typical process times of the claim is 7-10 business days. Keep in mind that if your insurance policy has a deductible, you will only be reimbursed for claim amounts that exceed the amount of your deductible, and you will be responsible for covering the balance. For some policies, the deductible is applicable for each claim, while for others, the deductible applies for your entire trip, no matter how many claims you make, which can be a big benefit if you need to make multiple claims. Finally, be sure to know what currency your deductible is expressed as. While your premium is paid in Canadian currency, your deductible may be expressed in US currency. In addition, while your policy may have a high coverage limit (i.e. $2,000,000), it may have lower limits for specific treatments (i.e. a $5,000 limit on emergency dental treatment). Make sure you are aware of these. What if your claim is rejected? The vast majority of travel medical insurance policy claims are paid by the insurer. A 2014 report based on a KPMG survey of Canadian insurance providers commissioned by the Travel Health Insurance Association found that 95.3 per cent of Canadians who purchased individual travel health insurance policies had their claims paid. The report was based on a survey of more than 103,000 insured travellers. However, in the event that your claim is denied, you will be able to appeal your decision with your insurance provider. Your insurance provider will also provide you with the contact information for the Ombudsperson who will review the details of your claim.